This year, members of the Theater Guild are going to be all in it together for their upcoming production of High School Musical. The Disney original musical was selected to be the spring musical performed by students this year. Auditions for parts were held on Wednesday, March 5 and Thursday, March 6 for most students. 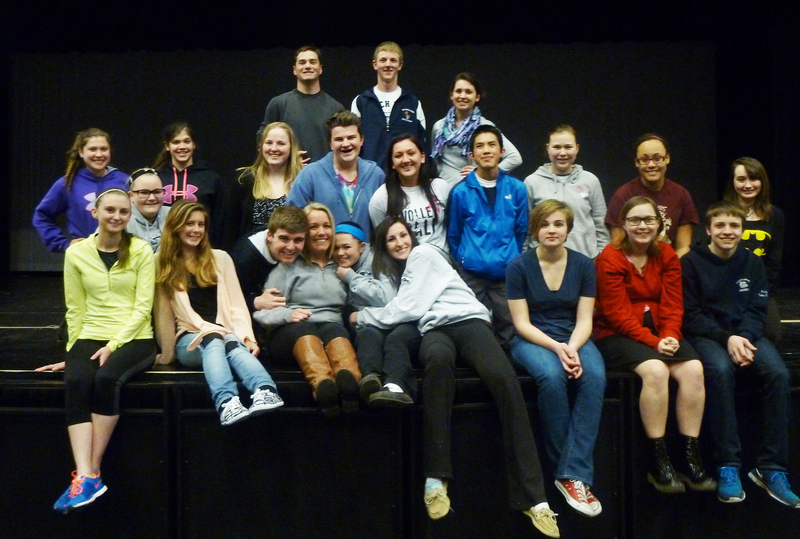 Students who were to attend MASC those days auditioned Tuesday, March 4. High School Musical is being performed on Friday, May 2 and Saturday, May 3 at 7 PM in the high school auditorium. Tickets will be sold for $8 when purchased in advance and $10 when purchased the day of. Tickets can be purchased at showtix4u.com. Juniors Andrew Frazer and Alyssa Collins were cast to play the lead roles of Troy and Gabriella respectively. Sharpay will be played by sophomore Leah Dececco and Ryan will be played by junior Chris Landy. Troy is the star of his school’s basketball team who auditions for the school musical with Gabriella, his smart and beautiful friend, and the musical follows them as the protagonists. Sharpay and Ryan are twins and are president and vice president of the school’s theater guild. In past years, the musicals Hairspray, Fiddler on the Roof, and Grease were performed by former and current RHS students. Last November, the Theater Guild performed a play version of The Jungle Book. Running the musical are the Theater Guild’s advisors, Angelina Armstrong and Samantha Hoyo, and Music Department Director Matthew Harden and Chorus teacher Jennifer White. High School Musical is well known to students, as it was fairly recently made, and stars well known Disney actors and actresses like Zac Efron and Ashley Tisdale. It is considered one of the most successful Disney Original movies, as it was popular enough to get two sequels, including one that was released in theaters. As rehearsals continue and the debut day draws closer, the excitement grows among students and cast members alike.